According to the Australian Bureau of Statistics (ABS), the percentage of Australian businesses using paid-for cloud computing services is sky-rocketing! For the 2015-16 period, one in every three Australian businesses surveyed by the ABS had adopted paid-for cloud computing services. Compared to the 2013-14 results, where only one in five businesses has adopted these services, it demonstrates that cloud computing is moving to the forefront of business IT solutions! So what’s the driving force behind this trend? If you’re still wondering what exactly cloud computing is, how it works, and what business benefits do cloud computing services provide, then check out our in-depth guide. Not only do we explain what business benefits do cloud computing services provide, but also how they can help grow your business! What Exactly is a ‘Cloud’? A cloud is a storage space which holds data, so that it doesn’t have to be stored on a local device with limited storage space, whether that’s a smartphone, a laptop or a desktop computer. Cloud computing refers to interactions between one or more devices and a common cloud storage space, all connected through a network. A network opens a portal between your device/s, and the storage space or platform provided by a cloud. Therefore, cloud computing can not work without a network connection, as data cannot be transferred to and from the device to the cloud without it. 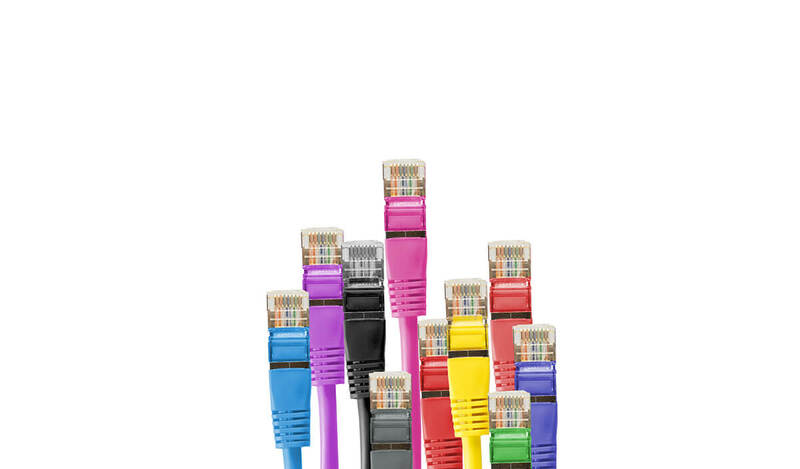 Most of the time, a ‘network’, means a connection to the Internet. However in some cases it can also be a local network (depending on the type of cloud service). It is the expansion of available storage provided by a cloud, through a network, which opens up so many cloud computing possibilities and benefits. What Can Cloud Computing be Used for? It can backup and restore information. It can stream audio or video. Most importantly, it can offer the following services. SaaS (Software as a Service): This is where a cloud computing provider acts as a central hosting space for software applications, which can be used via a subscription. The most common types of SaaS include email services, document sharing applications, and sales management services. Think Google G Suite, Microsoft Office 365, or Salesforce. IaaS (Infrastructure as a Service): This type of service allows for the use of outsourced computing infrastructure on a pay-per-use basis. Services include things like storage databases, virtual private networks or large scale data analytics tools. If you’ve ever used Amazon Web Services or Microsoft Azure, you’ve used an IaaS. PaaS (Platform as a Service): This service is more targeted towards developers. PaaS provides shared tools and infrastructure to build, test and deploy applications. Examples include Salesforce’s Heroku or Force.com. 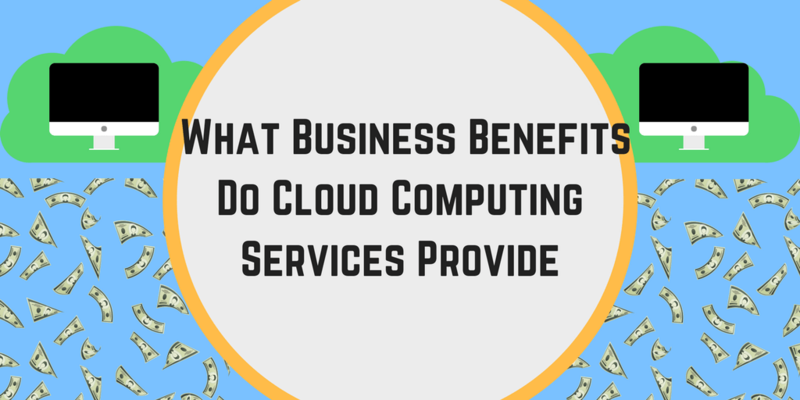 Now let’s look at what business benefits do cloud computing services provide. What Business Benefits do Cloud Computing Services Provide? To explain this we need to first look at the old way of computing. 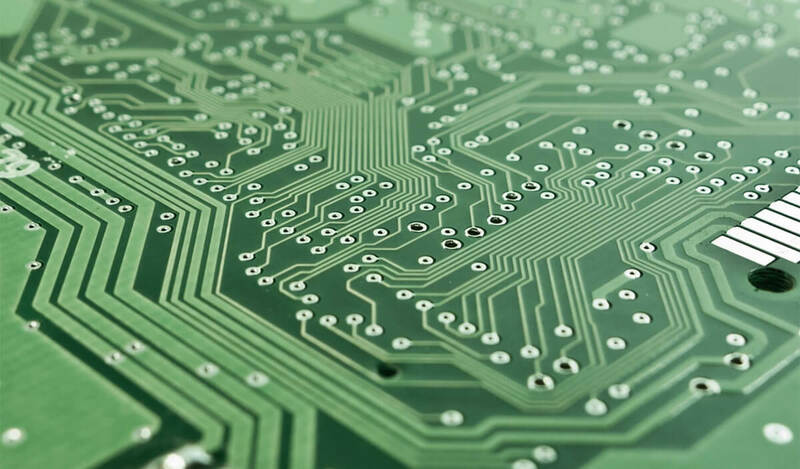 The old way required constant upgrades of hardware and software to ensure IT networks could cope with the best computing programs, systems and innovations. This “rip and replace” cycle meant recurring IT expenses, slow and painful program update processes, and an altogether inefficient way of running the IT side of business! Every three to five years, when systems needed an upgrade, chaos often ensued. With cloud computing, many hardware and software based services are hosted entirely by a cloud computing provider. This means all of the upgrades, maintenance (e.g. bug fixes), and the many other inconveniences associated with cloud computing services are taken care of! Thanks to cloud computing, all you need to do from your end is click on update every now and then and reap the benefits! You’ll have the very latest technology available at the click of your mouse! This allows you to refocus time and money towards other business priorities, allowing you to grow your business in other areas! Companies providing cloud computing services typically roll out new software and software fast and frequently. For instance, while you had to wait yearly for the new version of a standard on-premise customer relationship management tool, most cloud computing platforms offer updates on a monthly, or even weekly basis! This ensures your cloud based computing systems are constantly humming, suffering less downtime, and ultimately causing less IT stress. This will support the growth of your business, as opposed to limiting it like the old school options. Cloud based IT services are significantly cheaper than non-cloud based alternatives. With less equipment, the cost of on site maintenance is slashed! 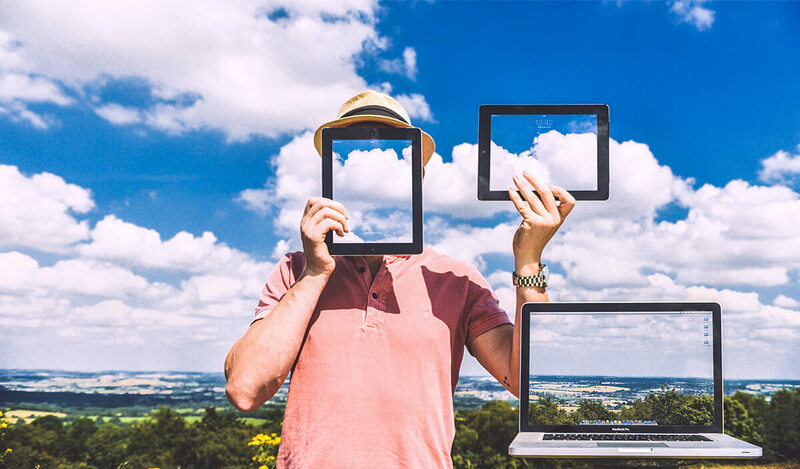 With cloud computing services it doesn’t matter what kind of hardware you’re using, in general you can still tap into cloud computing services. You can just as easily access a cloud based platform on a $200 tablet as on a $2000 PC. Plus, most of the support required to operate the service is accessible to everyone, online via the cloud provider. With traditional computing, you are locked in to storage capacities through the hardware you buy. This can cause shortages in peak times, or wasted capacity during idle times. By going with cloud based computing services, there is less wasted capacity, and less shortages. Your fluctuating computing demands can be met, whether you need to scale up or down. And since cloud based services are heavily automated, this can usually be done without any manual intervention. Cloud based storage services allow for continual and unhindered collection and storage of your systems data, which means unhindered continuity and growth for your business! no storage downtime associated with maintenance and upgrades. All this ultimately means a better, more reliable disaster recovery system. 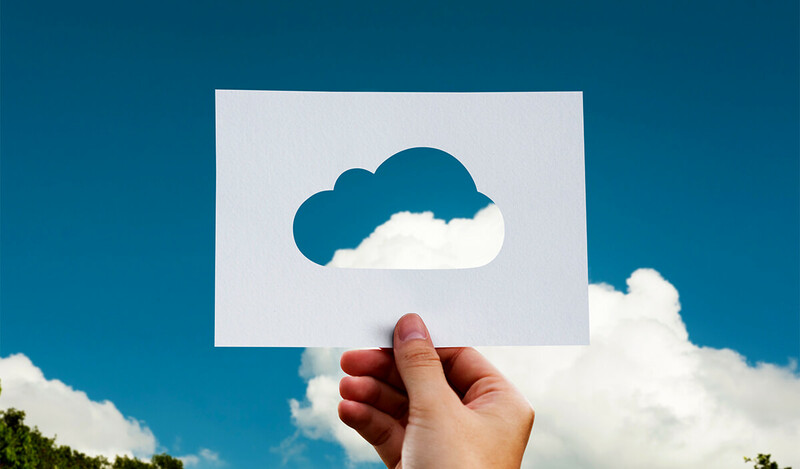 While businesses of all sizes should have a number of available backup solutions in case of data loss, cloud based options often prove to be the least expensive and least time consuming solution. This opens up opportunities for smaller businesses who can now afford the highest level of data disaster recovery, that was previously only afforded to the big end of town. By sharing storage, workflows and online tools, cloud computing services allow staff members to work off-site (e.g. at home), just as easily as in the office. Workers can also manage their projects on-the-go via smartphone, tablet or laptop. It also means you can use any internet connection to access your data, which reduces the reliance on one head office connection. Another way in which cloud computing technology can help you reduce your IT expenses is energy efficiency. By reducing the workload on your businesses hardware, you also decrease your electricity bill. Not only is your electricity bill cheaper, it can ultimately reduce the carbon footprint of your business. Large cloud computing providers can optimize the energy efficiency of their data centers more effectively than thousands of disconnected on-site servers. While it may not seem so important to the growth of your business now, with the current re-focusing of global economies towards a greener future, this kind of benefit is in vogue! As a consequence of all the cloud computing benefits, smaller businesses who move their operations to cloud based services can benefit from the latest technology at a faster rate. This gives them the ability to access enterprise-grade technology at a fraction of the price, and dig in against their larger competitors! Many cloud-based solutions can be trialed and swapped, should you find they don’t meet your needs. Whereas, with traditional IT solutions this could mean expensive overhauls! This new way of working increases your agility as a company in a fast-paced technological world. Here is our top tips to ensure you gain the most benefit from your chosen cloud computing services. Relying on cloud based services, accessed through a network, means you need to keep your finger on the network connection pulse. Issues can stem from both your end or that of the cloud service provider. A good IT support company can be used to monitor and maintain your side of the connection. And fortunately, most cloud providers are extremely reliable with their services, often maintaining a 99.99% uptime rate. Security breaches are a risk with any computer system Just like your own personal system, you should make sure the cloud based service providers you choose have sufficient security protocols and good track records. You can look for companies which have had security breaches online, as they often become high profile cases. You should also ensure your staff are trained in cyber security to reduce the chance of issues at your end. You can also check out our recent article about how to prevent ransomware in 2018, if you need further information. 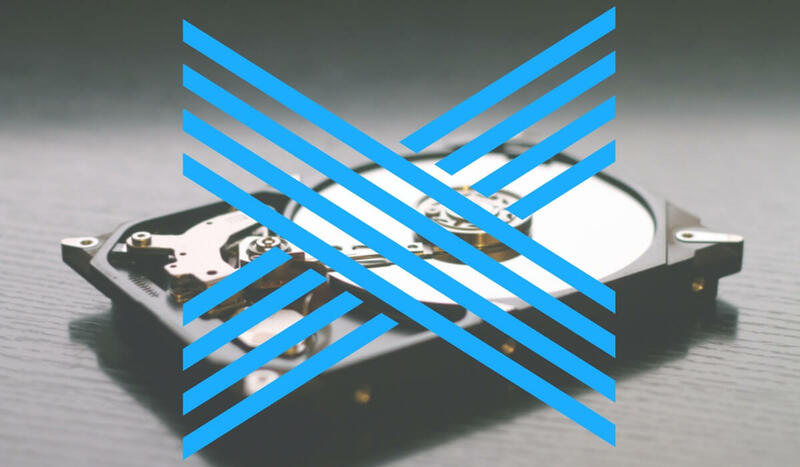 To ensure you can always access your data in the future, make sure you can extract and backup data from your cloud based service provider in non proprietary format. Luckily, most cloud based solutions offer that option. It’s no wonder that the use of cloud computing services in business is rising so rapidly. With so many benefits reducing time, expense and stress associated with IT networks and services, cloud computing services are the way of the future! If you were wondering what business benefits do cloud computing services provide, hopefully we’ve helped you move on to the next process; seeking the ideal cloud computing service provider! 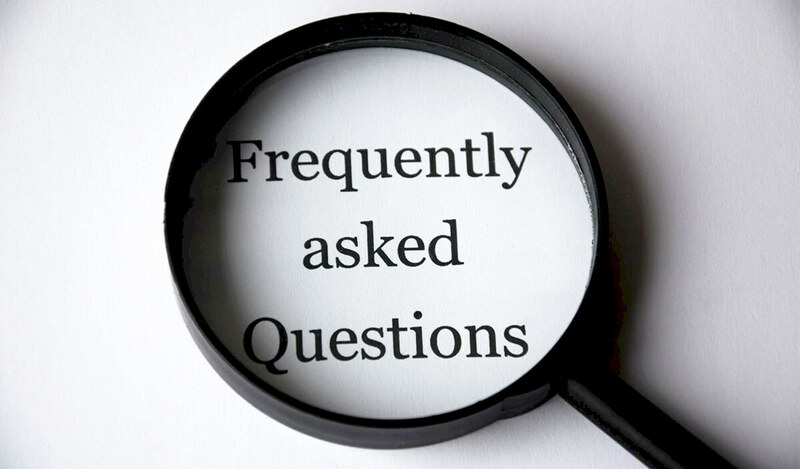 A reputable IT support company is a good place to start asking questions about which cloud computing services to go for. Just make sure that the cloud computing provider you settle on satisfies your business needs. This will give you the peace of mind to focus on what really counts: growing your business! Will moving to the cloud mean replacing hardware? No, most cloud-based solutions work across IT equipment, which means no extra expenditure on hardware costs. Does cloud computing also benefit smaller companies? Absolutely. Both small and large organizations can make the most of the technology, as it basically evens the playing field by allowing smaller companies to access enterprise-grade software at competitive prices. Is cloud computing more expensive than on-site IT technology? More often than not, it is far cheaper. Your business will benefit from a reduction in IT support costs, less hardware upgrades and the ability to scale spending according to your needs on a flexible basis (i.e by changing your subscription contract). How can I choose the right cloud provider? An IT support company can help you choose the perfect cloud-based solution for your business.